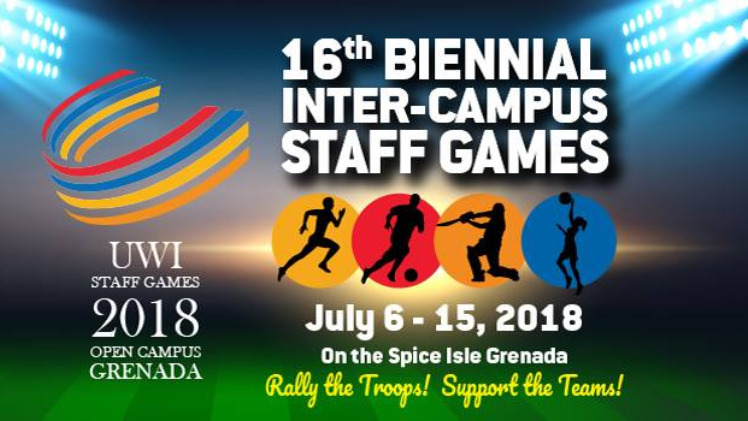 The University of the West Indies recently launched its 16th Biennial Inter-Campus Staff Games to be held in the Spice Isle of Grenada as tribute to the island’s government for a gift of 89 acres of land. The Games will run from July 6 - 15, 2018 and will be hosted by the Open Campus. The games are expected to see the participation of over 300 members of UWI faculty and staff along with their families. 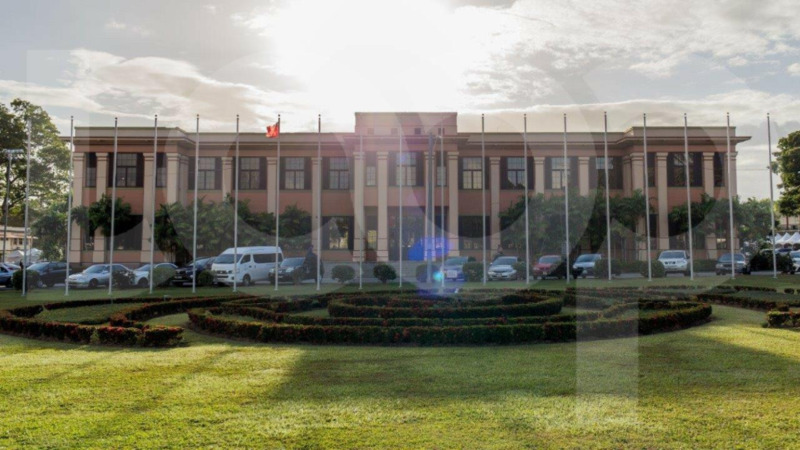 Given the regional University’s geographic separation, the format of the launch was a virtual event, connecting UWI’s four campuses and the Office of the Ministry of Youth, Sports and Culture of Grenada. Those present for the launch included Vice-Chancellor of The UWI, Professor Sir Hilary Beckles, Pro Vice-Chancellor and Campus Principal, The UWI Open Campus, Dr Luz Longsworth, Head of the Open Campus Grenada Site, Dr Nicole Phillip-Dowe, scores of UWI staff, along with Permanent Secretary with responsibility for Sport, Ann Isaac and Sports Coordinator from the Ministry of Youth, Sports and Culture of Grenada, Kerlon Peters. In her welcome remarks, Dr Longsworth noted that the 2018 Games are particularly significant and include historic firsts; it would be the first time that the games are hosted by The Open Campus and the first time they would be held outside of The UWI’s three physical campuses. She also described the choice of the location for the Games as an homage to the government of Grenada for its extraordinary generosity in gifting The UWI 89 acres of land in Hope, St. Andrews. “It is our hope that those lands will host the University’s Faculty of Sport, Physical Rehabilitation and Wellness Centre and the Open Campus Academy of Sport,” she announced. During the virtual event, the Games logo created by UWI staffer and Secretary of the Inter-Campus Games Committee, David Brown was also revealed. According to Brown, the inspiration for the logo was to design a visual that speaks to the different (competitive or career) lanes of UWI staff, while emphasising—through the four campus colours, a ‘U’ shape—that though we may race as teams, we finish as one. The UWI tradition which began in 1948 provides an opportunity for all levels of staff to engage in friendly competition, fostering closer integration across the regional university. It lasts 10 days and includes football, basketball, volleyball, netball, cricket, lawn and table tennis, and athletics. Vice-Chancellor Beckles also expressed his delight that the celebratory spirit of the Games was against a backdrop of The UWI’s 70th anniversary year and the recent launch of The UWI’s new Faculty of Sport. Ann Isaac, Permanent Secretary with responsibility for Sport and Kerlon Peters, Sports Coordinator, both from the Ministry of Youth, Sports and Culture in Grenada extended a warm welcome on behalf of the Government and people of Grenada and pledged their commitment to ensuring the successful staging of the event. Head of The UWI Open Campus Genada Site, Dr Nicole Phillip-Dowe, thanked the Government and corporate community of Grenada for their generous support. Sponsors for the Games include the Grenada Co-operative Bank, the Grenville Co-operative Credit Union, CIBC First Caribbean International Bank, Jonas Browne and Hubbard’s, George F. Huggins, the Grenada Union of Teachers Credit Union and Netherlands Insurance. In his overview of the Games, Manager of the Open Campus Staff Inter-Games Committee, Charlton Ali, implored all present to “see the Games as a celebration of staff within The UWI.” He reminded that the Games are part of a long-established tradition, having been created not only for friendly competition but also to cultivate friendships across campuses and indeed the region. He added that it is also only fitting, that in its 10th year of existence, the Open Campus is hosting this year’s Games.